Interested in joining our Board of Directors? Click here. If you are looking to volunteer or donate, please visit our take action page to find out more. Annie has lived in Washington all her life. Spokane has been her home since 2011, and she has since grown to love the people, the rich landscape, and the beautiful community that exists here. An avid outdoor adventurer, writer, and gardener, she is very excited to embark on the journey of being the third AmeriCorps Vista for SETP. Annie is passionate about community building, sustainable living, and local agriculture. Currently, she is studying Agriculture and Horticulture at Spokane Community College. More often than not, she can be found engrossed in projects, outside, or seeking truth in the simplicity of things. Cami has called Spokane home since 2014. Originally from Pennsylvania, Cami moved to Walla Walla, Washington for college and fell in love with the the Pacific Northwest. 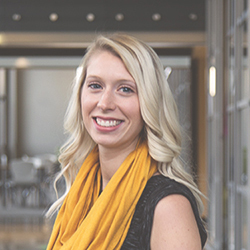 Her first foray into the non-profit sector was working at the YWCA while studying at Walla Walla University. Passionate about social justice issues, she is committed to public service and community engagement. After working in the e-commerce and creative services industries, Cami now spends her time with her one-year-old daughter Eleanor. She loves reading the news, keeping up with politics, and exploring Spokane with her husband Alex and two dogs. Jazmin Ely a Spokane native, growing up in the South Hill district. This is her first year serving on the board. She has actively participated with 2nd Harvest's Bites 2 Go program and Junior Achievement. Working various roles at local companies, she has become a leader, marketer, and innovator. Jazmin is passionate about brand building, creating a connection within the community, and fighting against food insecurity. Alvaro Figueroa is an MBA graduate from Eastern Washington University. He works at Avista as a Spanish Translator and Credit & Collections Business Analyst. Alvaro was a founding member of the Latino Hope Foundation in 2015, and currently serves on numerous professional boards in Spokane. He is an avid runner, having completed over 30 full and half marathons, as well as over 10 Spartan races. Dawn joined the SETP Board in 2018. By day, she is a business professor at Whitworth University and brings 30 years of experience in management consulting to her "final" career in academia. Dawn and her husband Steve moved to Spokane from Georgia in 2014. They share a fruit tree-filled acreage in the foothills above Peone Prairie with an assortment of dogs and cats, several dozen chickens, and two very spoiled miniature donkeys. Steve and Dawn also have two Southern-raised children: Montana, a clinical counselor living in Atlanta, and Colton, a deputy sheriff in Nashville. Dawn is excited about helping contribute to the realization of the SETP long-term vision as a member of the Development Committee. Alex Knox is a PNW native, who was born and raised in Coeur d’ Alene, ID and moved out to Spokane a couple of years ago. He currently attends Spokane Community College where he is working towards his Associates Degree in Nursing, and eventually a degree in Public Health. He currently works at MultiCare Deaconess Hospital as a Nursing Assistant, specializing in the Orthopedic Medical/Surgical Unit. Alex is very active in his community, serving on multiple local boards such as the Behavioral Health Advisory Board, the Shiloh Hills Neighborhood Council, and OutSpokane. He enjoys spending time with his puppy and hanging outdoors by the water.